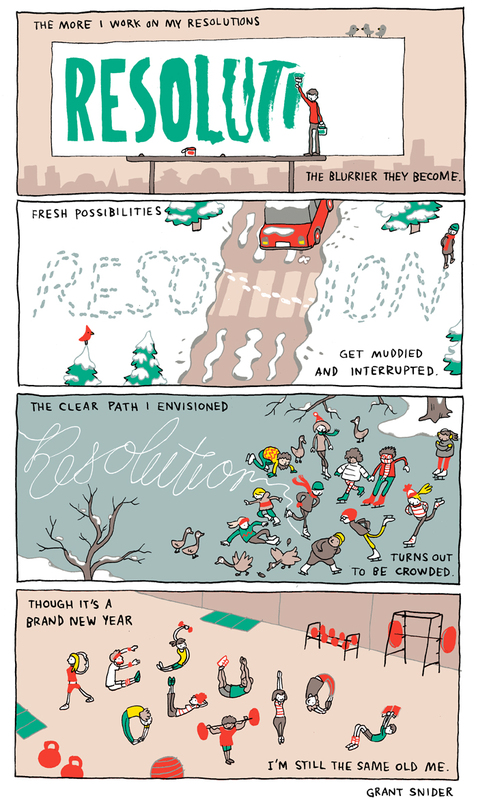 Resolutions vs. Being the Best Self I Can Be | OccasionalPiece--Quilt! ← Pineapple Quilt Borders: Progress? Posted on January 10, 2015 by Elizabeth E.
I read this article, “Resolving to Create a New You” in the New York Times last week. I cut it out, kept it by my sewing machine and read it all week long. I read it again today and finally, finally, I think I understand it (the author, Ruth Chang, is a professor of philosophy at Rutgers University). It helped that I listened to Ms. Chang’s TED Talk about “How to Make Hard Choices” (take the time–it’s enlightening). Resolutions, even those quilting resolutions of Finish A-Longs and their sort, have a problem because basically we are trying to (as Ms. Chang put it) “to steel our wills to do what we already know we should be doing.” Yes, I know I should finish Quilt XYZ and yes, I still make myself a list of quilts every quarter and hang them on my cupboard door. Sometimes they are helpful, like when I don’t feel like doing much. It can give a goal and a direction. But I have two quilts I have had on that list every quarter for the past two years. They are hard quilts. I don’t quite remember what I want to do with the “Good Luck Quilt,” one that I dreamed up but now have no idea what I mean, nor do I know what I want to make with the fabric that I spontaneously bought in a stack from an online quilt shop one summer’s day (and which I call “The Mexcian Day of the Dead Quilt”). Each quilt has its appealing qualities. Each is a quagmire. And every quarter I resolve to finish them. Ms. Chang says instead of looking at resolutions as just another set of Things To Do, we should view these as opportunities “to create ourselves anew.” Each of those hard choices between two sets of alternatives, gives us a chance to “make ourselves the authors of our own lives. Instead of being led by the nose by what we imagine to be facts of the world, we should instead recognize that sometimes the world is silent about what we should do.” Nobody cares if I ever start my Good Luck Quilt. Or cut into that layer cake or jelly roll. 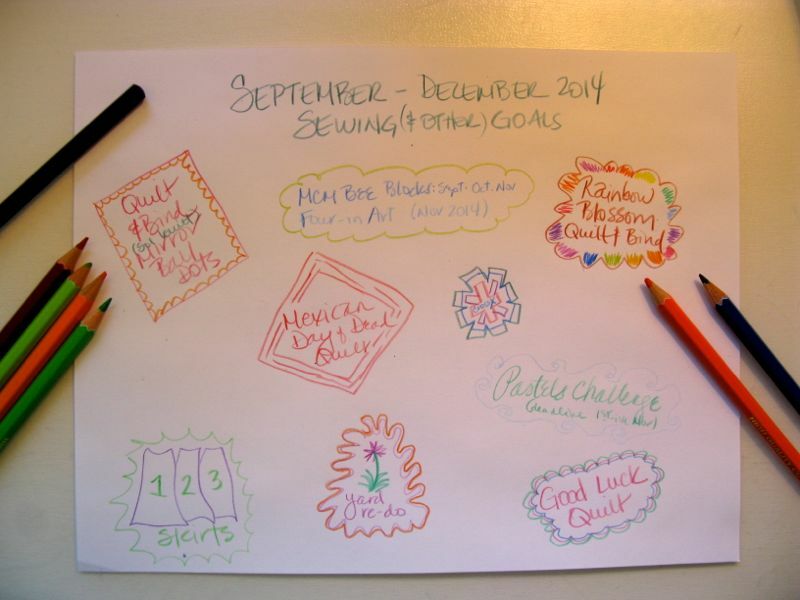 And even if you do make it and post it on some blog and someone has rounded up prizes for what you finish, you aren’t winning a prize because a quilt has taught you a new skill. You aren’t winning a prize because you spent more time on the borders that you did on the quilt (like my current tortuous creative project). You are only winning a prize because you finished something and your name was selected by Mr. Random Number Generator. And if you ask me, an online app that can “lead us around by the nose” is probably NOT the best way to develop yourself as a quilter. Instead, Ms. Chang suggests, by making hard choices, “we not only create value for ourselves but we also (re)create ourselves. . . . to reflect on what kind of person we can commit to being when making those choices.” So whether it be challenging yourself in a new quilting endeavor, or resolving to become the kind of person who would rather go on a walk than eat a brownie, or the kind of person who can set aside the digital screens of her life in order to concentrate on the small people near her, if we can commit to that task, generating our OWN reasons for choosing that direction, we “make ourselves the authors of our own lives.” We won’t just make another “Scrap Vomit” quilt because everyone else is. While we might choose to use up our scraps, we’ll do it in a way that suits us, that refines us, that contributes a little bit of something to the inside of us. Dive into the quilt quagmire and make that hard quilt. It may take you three months or three years, but you will have become a different and better self for having tried it and finished. Use that pattern in the drawer, but make it up in fabrics you envision. Go ahead and make a quilt that mimics the one online, but make it better. Make it different. Another thought provoking post Elizabeth! I certainly agree with being authentic to ourselves and to not follow the pack! 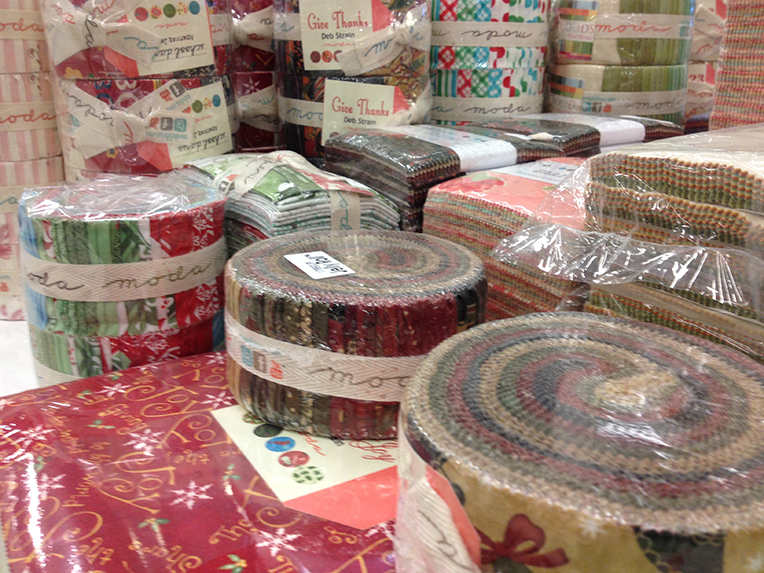 I have certainly resolved to use my stash this year, but I am trying to find ways that suit me…. Just as you are doing with your Pineapple blocks and its amazing border! Borders deserve time and attention too! 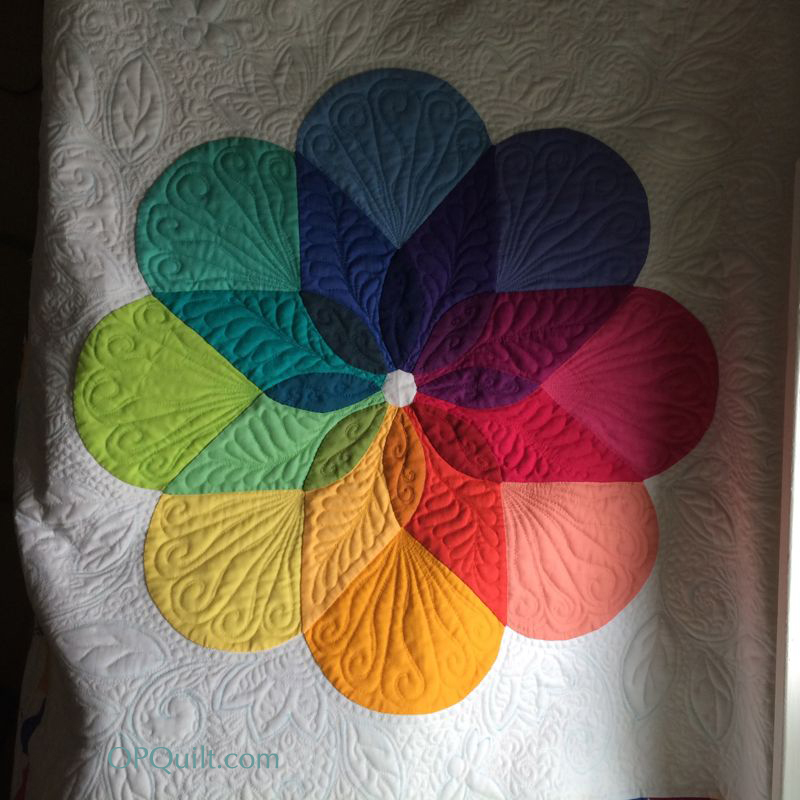 I love the way you take two very divergent styles and blend them/mix them/use them together to make beautiful quilts. You inspire me. And your comments today are especially meaningful. I’ve not made resolutions for several years, but I’ve not made the commitment you are suggesting instead. I think I’ve found my goal and I’ll learn the pathways as I go. I like the idea of creating value for ourselves by recreating ourselves. In the end, it isn’t about how others view what we’ve done; it’s about how what we’ve done has shaped who we are. Nice post with lots to ponder. A very thoughtful post, Elizabeth, and it must be something in the air because without that article, making it my own is what have been percolating in my brain for the last few months. You have been the lightning rod to blaze it into my world. Sounds like I already sort of live by her thoughts. Additionally though – I love changing my mind and always give myself permission to do so. If I take on a project, I always start with the intent of finishing, but sometimes I change my mind in the middle. Maybe it isn’t turning out like I want, maybe I’m bored because it is too repetitive, maybe something else inspires me way more, or maybe I’m just lazy. Regardless of the reason, if I found what I needed to find, I’m done, and it is OK. I’ll typically donate or toss projects that I’ve accepted won’t be finished. It is why you never find me doing joining up with those types of blog circles (finishing, goal setting, etc). I just blame it on being born on the aquarius pisces cusp, I was doomed from the beginning! Well said! I subscribe to the ‘slow it down’ philosophy so my quilts get started, or finished when they do. No time frames allowed. have very few UFO’s, but many quilts in my head- just not on any list that might make me feel guilty to look at! Brilliant idea!!! I love the quilt too. Your post came at a great time for me. I am trying to change directions with the sewing and quilting I have been doing. I have not read the article yet, but am definitely going to this week. Of course, your post has probably summed it up quite well. I may have more thoughts on this later, and they will most likely go into a journal. Thank you for a post to cause reflection. You are so well spoken, Elizabeth. Your thoughts reflect mine and my word for the year: Intentional. Thanks for sharing. Oh my gosh, I love the quilting in the white space it’s amazing! Why do I love your blog? Because you say the things that I’m thinking in kinder and gentler and more eloquent ways! I agree with Angie–being a lightning rod, Carla–your thoughts reflecting mine, and Rachel–you say things that I’m thinking but in a much more eloquent way. You always give me so much to ponder. I have printed out the article and will listen to the Ted talk (can you believe I have never listened to a Ted talk before??). And your quilt is simply amazing. LOVED this post! Sorry for the all caps!